In a paper published in the Journal of Alzheimer's Disease, lead author Eseosa Ighodaro, PhD, encouraged fellow researchers to address the challenges associated with studying dementia in Blacks/African-Americans. The paper, co-authored by researchers at the University of Kentucky's Sanders-Brown Center on Aging, the University of Washington, Rice University, and Rush University Medical Center, is a clear-eyed look at the barriers that hinder minority recruitment for dementia research and the misconceptions that potentially distort research outcomes through unintended bias. A new study from the FINGER trial team shows that participants with shorter leukocyte telomere length (LTL) had more pronounced benefits on cognition following the multidomain lifestyle intervention. In the largest functional brain imaging study to date, the Amen Clinics (Newport Beach, CA) compared 46,034 brain SPECT (single photon emission computed tomography) imaging studies provided by nine clinics, quantifying differences between the brains of men and women. The study is published in the Journal of Alzheimer’s Disease. Older adults who consume alcohol moderately on a regular basis are more likely to live to the age of 85 without dementia or other cognitive impairments than non-drinkers, according to a University of California San Diego School of Medicine-led study. 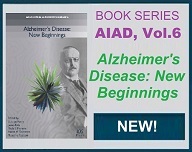 The findings are published in the August issue of the Journal of Alzheimer’s Disease. Rare mutations in the amyloid precursor protein (APP) have previously been shown to be strongly associated with Alzheimer’s disease (AD). Common genetic variants in this protein may also be linked to intelligence (IQ) in children, according to recent research performed at the University of Bergen, Norway. Vascular Risk Factors and Alzheimer's Disease: A New Therapeutic Opportunity? 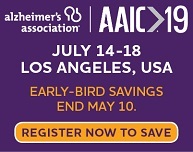 Currently, no possibility exists to reliably quantify the risk of Alzheimer’s disease (AD) onset in the general population and in subjects with mild cognitive impairment. Metabolic and genetic factors involved in increasing the probability of developing dementia have already been identified. Some vascular risk factors, as hypertension, dyslipidaemia, diabetes or smoking can cause a derangement in extra or intracranial vessels architecture, which can be responsible for an early aging of the brain. However, reliable tools for early identification of subjects at greater risk of evolution from mild cognitive impairment to AD are not available. Dedicated to the study of Alzheimer’s disease, University of Virginia biology professor George Bloom’s lab has spent the last decade working to expand the scientific community’s still-primitive understanding of the disease’s underlying biology. A recently published study from Bloom’s lab is helping to solve one of the devastating brain disorder’s underlying mysteries, explaining how certain proteins convert previously healthy nerve cells into neurons afflicted with Alzheimer’s. In the last decade, mounting evidence has linked seizure-like activity in the brain to some of the cognitive decline seen in patients with Alzheimer’s disease. 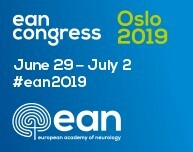 Patients with Alzheimer’s disease have an increased risk of epilepsy and nearly half may experience subclinical epileptic activity – disrupted electrical activity in the brain that doesn’t result in a seizure but which can be measured by electroencephalogram (EEG) or other brain scan technology. JAD is pleased to announce that Shi-Jiang Li, PhD, Professor of Biophysics, Radiology, and Psychiatry and Behavioral Medicine at the Medical College of Wisconsin, has been chosen as the recipient of the 2017 Alzheimer Award. 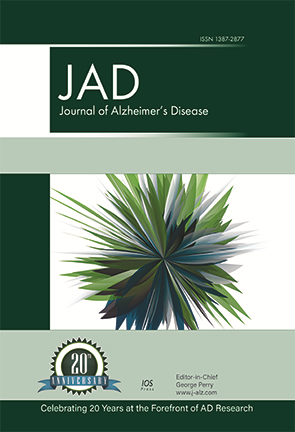 It has been presented by the journal in recognition of his outstanding work on the development of the CARE index, potentially a significant new tool in the battle against Alzheimer’s disease (AD) that can be used to characterize risks associated with AD stages and quantify disease severity on an individual subject basis. 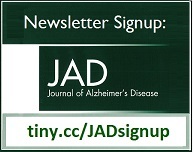 Sign up for JAD news & issue alerts! Read the latest mailing here!